An autopsy has determined that a 19-year-old woman whose body was found inside a Chicago-area hotel freezer died of hypothermia from exposure to cold conditions and not foul play. 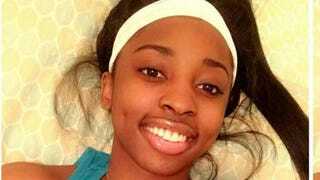 The Cook County Medical Examiner’s Office says that toxicology tests found alcohol, caffeine and an epilepsy/migraine medication in Kenneka Jenkins’ system and that her death was an accident, Time magazine reports. As reported earlier by The Root, Jenkins’ body was found Sept. 10 in a walk-in freezer at the Crowne Plaza Chicago O’Hare Hotel in Rosemont, Ill. There was a fury of social media activity surrounding the teen’s death, with her family suspecting foul play and asking the FBI to look into it. What is known is that Jenkins had left her Chicago home to attend a party at the hotel. She was found about 24 hours later after relatives reported her missing. Surveillance videos released by police days later show Jenkins, alone, wandering through a kitchen area near the freezer. Read more at Time magazine.